It’s all about avoiding the insulting label "Eye Candy" isn’t it? 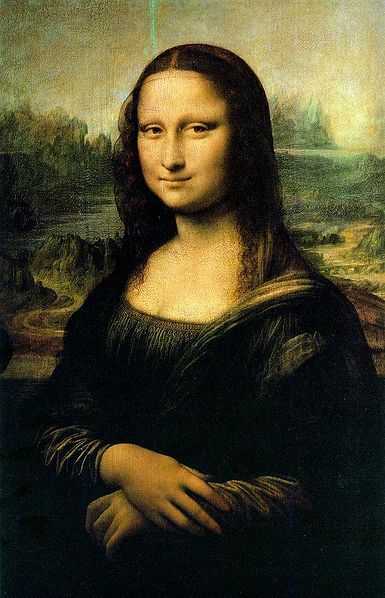 The Mona Lisa is famous for her “mysterious smile”; but is that enough to make it a great work of art? Isn’t it just old-fashioned eye candy and in fact (I deal in facts), not much different than the portraits produced by the famous photographer, Yousuf Karsh — and perhaps not even as good as that? I find the formal art world to be a breeding ground for fads and self-promoting theories which inhibit artistic creativity because they don’t reflect what art really is and subsequently present a confused perspective to art viewers and new artists corrupting their minds by convincing them that they can’t think for themselves and need to be educated by the experts in order to make sense of art itself, which is essentially a personal experience and needs no explanation any more than a cup of cold water on a hot day needs a set of instructions. For those of you readers who’ve been following this sequence of posts on Orbit Trap, you will be aware that me and my co-blogger, Terry Wright appear to have some different views about Fractal Art and what makes it “art” or not. He’s mellowed a bit in his last response, but I find there’s still something about his perspective on fractal art that bothers me. I’m also not quite sure what that “something” is, but here’s my latest input into the discussion. This or that has got to go. 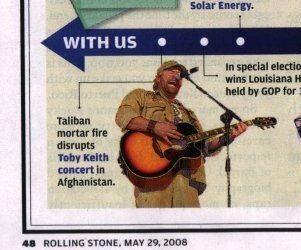 We need to start thinking of our art form as more of a straight line, doubled-sided arrow — sort of like the “Threat Assessment Chart” Rolling Stone currently uses. On the left end of the arrow is the word FRACTAL, and on the right end is the word ART. All of us fall someone on this arrow — some resting closer to FRACTAL and others resting nearer to ART. Fractal art, then, can never be this or that. Instead, it’s a wonderfully complex and richly varied continuum. All each of us does is decide on what point of the arrow we want to set up our own house. I like the bit about getting rid of the “this or that” restrictive definitions and the part about everything being wonderful, rich and varied, but I take exception to the continuum thing with just plain “FRACTAL” at one end of the scale (bottom end, I’ll bet) and the old, holy, shining, “land of Plato’s perfect forms” ART at the other end of the scale. But I’ve misunderstood what you’ve said before, so maybe I’m oversimplifying or distorting this double-arrow concept, too. What I have a problem with, I guess, is the that “ART” thing. I think that’s the disease we need to rid the fractal art world of — next. I would say… Art is subjective, a personal experience, easily influenced by social forces, highly contextualized, can’t be trusted and ought to wear an ankle bracelet with a GPS tracker so we can all start running when it enters the room or approaches our neighbourhood. Art is a moving target, hard to hit and even then it only stumbles a bit and continues on it’s way perennially avoiding capture and captivity. Those who define art in absolute terms have only grasped art for a brief moment and pulled off part of it’s tail or a patch of fur and then mistaken it for the entire creature that is still at large. Art is a shadow, placed under bright lights and thoroughly examined by a committee. Rather than being some all-inclusive, double-ended arrow heading in the two directions “fractal” and “art”, I would say that fractal art is a total wilderness with a dozen or so people pursuing creative interests that have nothing in common except for the use of fractal imagery which is about as meaningful as saying that both Picasso and Thomas Kincaide are artist’s. Does some fractal art have more art to it than others? I would say that the so-called higher forms of art (“arty” art) are actually just different forms of art and not categorically higher. Picasso’s Guernica tells a story, expresses intense emotions, gives insight into human tragedy, and does it all in a very primitive, appealing and creative graphical style. Guernica is one of the best examples of high-class, masterpiece art. But who wants that hanging in the living room to meditate or reflect upon? It’s a graphic depiction of a vicious bombing raid on innocent civilians! We ought to evaluate fractal art and all forms of art just as we would a set of household tools. Some art does one thing and other art does something else. Screwdriver art is not as forceful as hammer art, but can be much more intense and do more sophisticated things with greater detail. Chainsaw art is very appealing when one is outdoors, but inside the house it’s harsh and almost obnoxious. Most people like to look at circular saw art or admire a piece of mitre saw art when in a more refined environment. This is much more than I think Terry is suggesting. I’m saying that a chainsaw and a screwdriver can be compared to each other, but that it makes no sense to measure their strengths by the same standards because they are unrelated to each other except for occupying the same general category of “tool”. I would say, in my opinion (and art is the domain of opinion — personal and collective) the highest, most excellent works of art are all from the surrealist category of art. Surrealist art is the highest, most worthy form of art. It also cuts across almost all styles, media and schools of art. Almost any kind of art can be surreal because surrealism is an experience that the mind of the viewer has. We all make better art when it has stronger surrealist qualities. It is always my goal and the direction of my effort to create surreal images. That’s why I like algorithmic or machine-made imagery the most; it’s better at creating odd and startling imagery than the human mind is. So in that case, more ‘fractal” means more “art”! Yes. I think I’ve won the thread! But there’s no shame coming in second to a Champion like me.